Maintaining high standards through all of our manufacturing processes. POWER SUPPLIES: Desk top, wall plug in and open frame powers supplies available up to 800W. External supplies all are made to Energy Efficiency Level VI, mandated by the Department of Energy and are available in medical versions to 60601-1-2 4th edition with any DC barrel. Open frame versions are available with active PFC and optional fans. 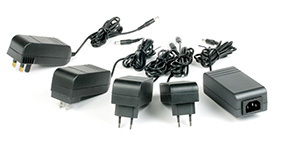 MEGA supplies a feature-rich range of North American power cord products, international power cords, assembled plugs and connectors, outlet strips and accessories, and wire and cable products. Each of these products is code-compliant in keeping with the prevailing industry standards, and can be shipped to any location worldwide. 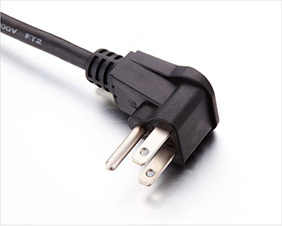 MEGA carries a rich inventory of power cords and related accessories. MEGA supplies an expansive DC/DC converter range for commercial and industrial applications. Through hole, SMD and chassis mounting DC/DC converters and switching regulators are available in wattages from 0.25W to 200W. Most products in the AC/DC and DC/DC converter range carry UL recognition, CE approved and all are ROHS compliant. For medical applications, products with isolations up to 6kV are available. 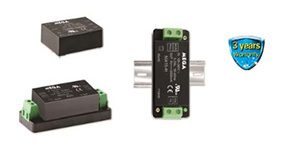 These converters are continuous short circuit protected, enhancing their operational safety. 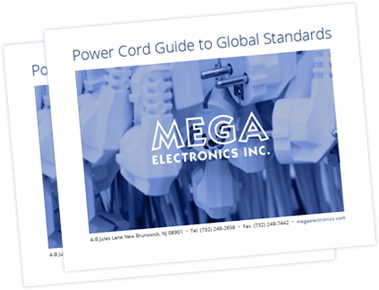 MEGA supplies power cords with all the necessary approvals to ship to any location in the world, usually from stock. MEGA has instituted VMI (Vendor Managed Inventory), JIT and KANBAN, positioning us to support blanket orders and stock and release requirements. Our engineering and sales teams are dedicated to seeing your project through from initial concept to product release and throughout the product life cycle.